Your level of technical knowledge may impact how much you know about the cloud, but it shouldn't mitigate the benefits your company can receive from it. There was a time when the standard thought process was that cloud based services were only a high-tech solution made exclusively for high-tech companies. That's not, nor has it ever been the case. In truth, just about any company can enjoy the benefits of the cloud. In many ways, it can simplify the manner in which you process, share and store information. In theory, this means its even more beneficial for companies with little tech understanding because it can ease the manner in which documents and data is stored, managed and accessed. Of course, there are varying levels of complexities to the cloud, and more high tech companies may implement intricate controls to get the most of their cloud solutions, but that doesn't take away from the fact that the cloud is accessible to a myriad of different organizations with different degrees of innovative tech and knowledge. One of the key hindrances on cloud adoption is that older companies believe their legacy systems aren't designed for the cloud and that if they don't possess innovative tools and solutions they shouldn't bother with the virtual service. This is not necessarily correct. 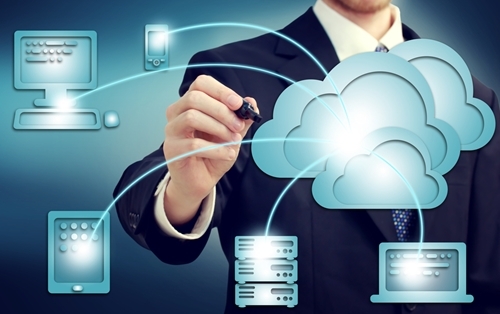 An article in The Next Web recently listed and debunked five popular myths about the cloud. One of the more prominent on the list was the idea that the cloud is exclusively designed for high-tech firms. Ian Gotts, the article's author, says this is simply not true. "Established vendors can fudge this by hosting their legacy application and then providing a separate instance for every customer, if it is not a true multi-tenant application. This gives the rapid sales cycle benefits of the cloud, however none of the other cost of delivery savings," Gotts wrote. "The real answer is to rebuild the application so it is multi-tenant and will scale correctly when deployed onto any cloud architecture. This of course may be a non-starter and a new build may be quicker, easier and take advantage of new technologies. So the transition is harder for an established vendor, but not impossible." Just because an organization has limited knowledge or limited or aging resources, that doesn't mean they can't benefit from the cloud. Working with a cloud based services provider can help any company capitalize on the capabilities of cloud computing. This entry was posted in Cloud Based Services on March 3, 2014 by Telecom Solutions Inc,.